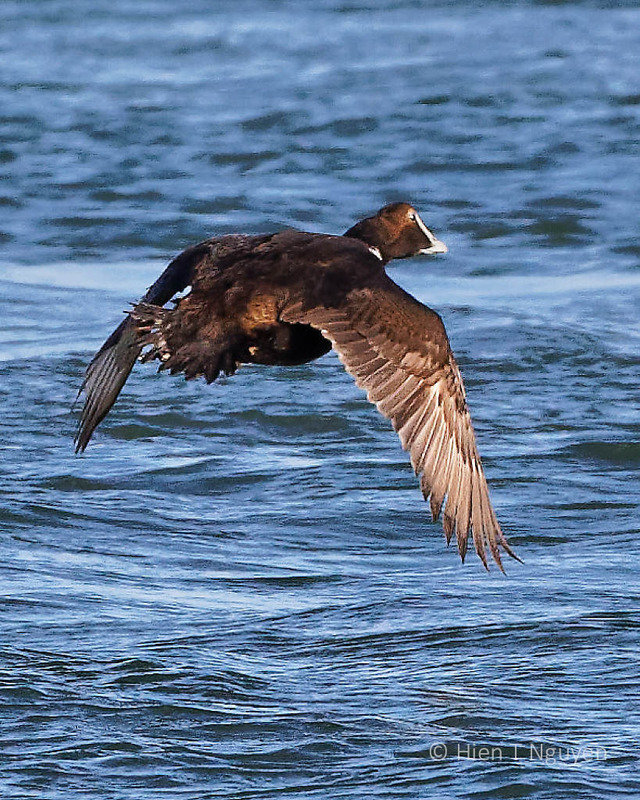 Since they are so big, Common Eiders take a long time to get airborne and fly, like Cormorants and Swans. 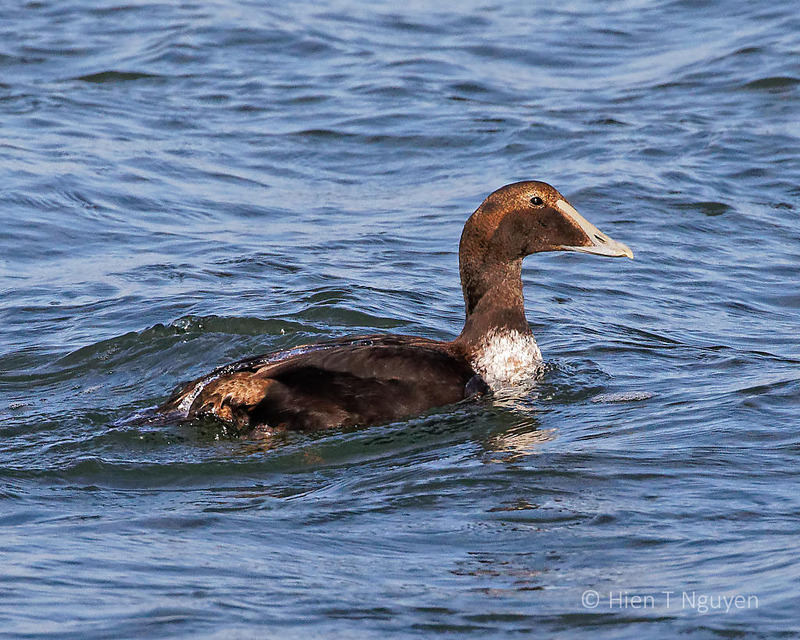 Yesterday, one immature Common Eider put on quite a show. 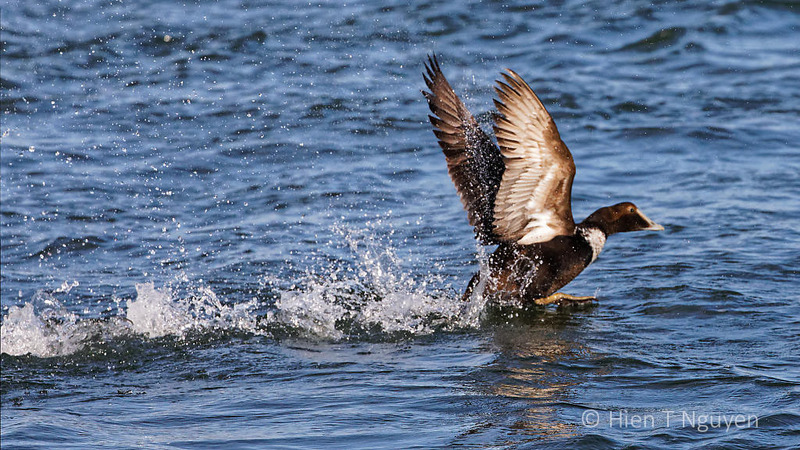 Immature Common Eider trying to take off. 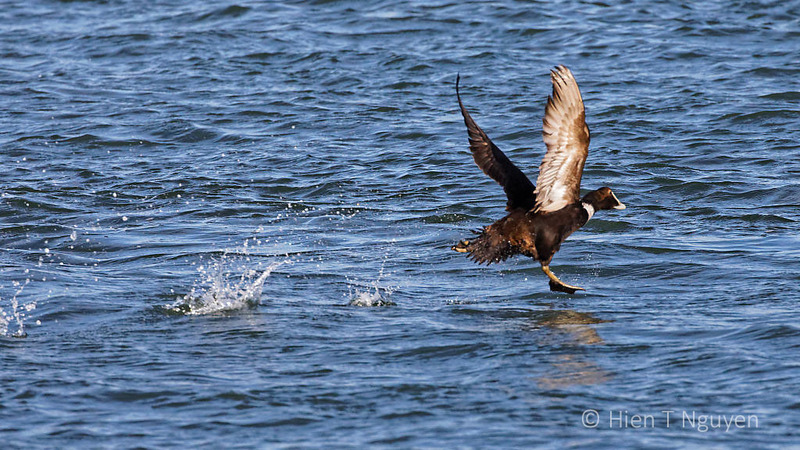 Immature Common Eider becoming airborne. No problem. Things like that happen to everybody. A great series showing how hard they have to work to get airborne! It’s fun to watch them in action. 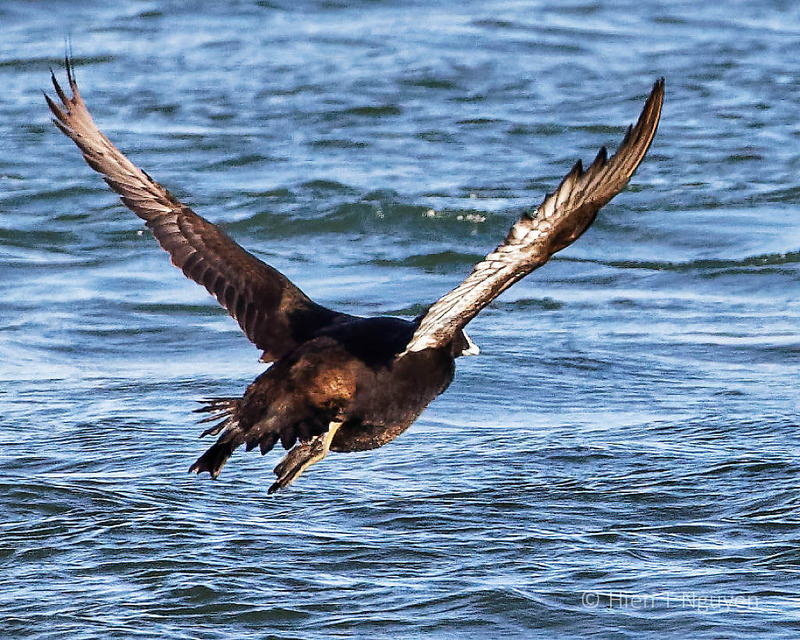 Eiders and Mute Swans take a long time to get airborne! Thanks Julie! Because they are so heavy, it takes them a long time before they become airborne. Truthfully? I have always thought eider were geese! They are as big as Canada geese, and bigger than Snow Geese, but they are classified as ducks.